ELVIS and PRISCILLA on stilts strode around the crowd on historic Main Street in Garden Grove on Sunday (Orange County Tribune photos). 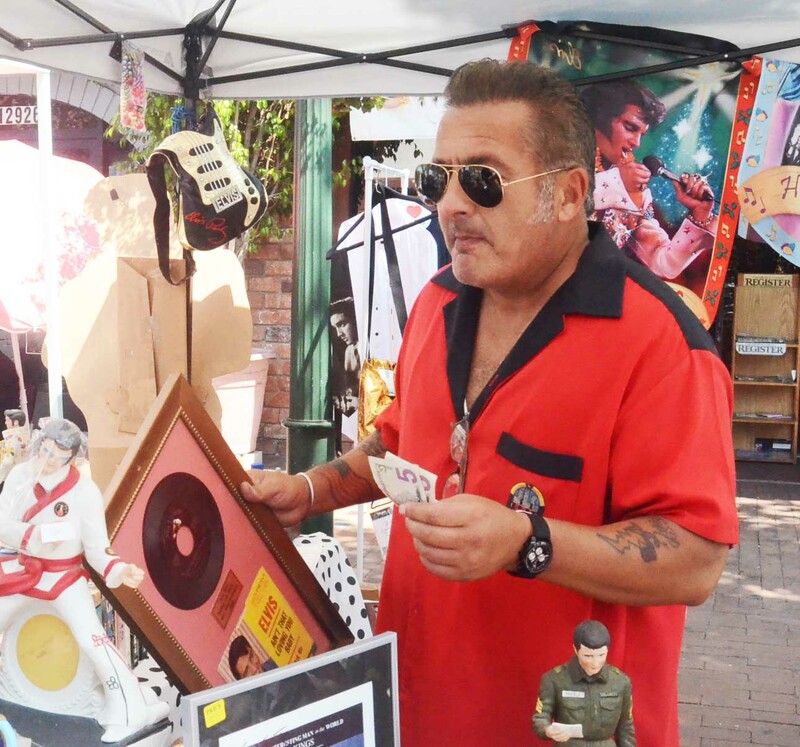 J.J. JAUREGUI (Main Street’s original “Elvis guy”) sold Elvis stuff. 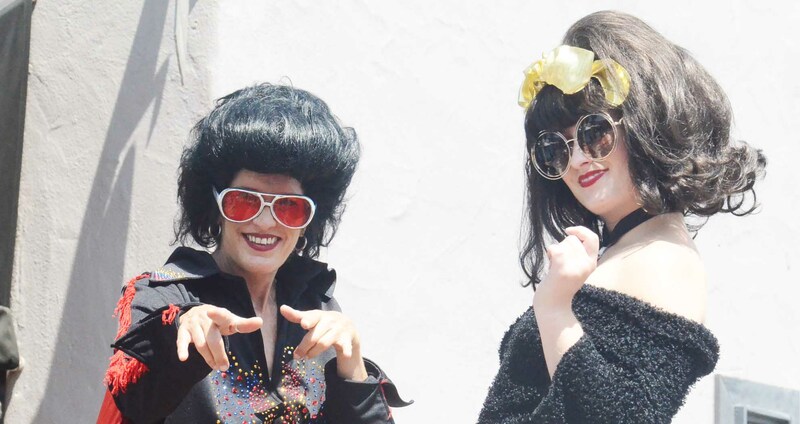 Community Foundation, featured a wide variety of musical acts, a motorcycle and a car show, food trucks and a lot of people dressed up like Elvis and Company, including a stilt-walking Elvis and Priscilla pair. In addition to featured performances by Elvis tribute artists – non-fans might call them “impersonators” – there were booths to buy memorabilia and Elvis-themed merchandise, connect with the Garden Grove Elks lodge and get information about a variety of Elvis groups. There were also performances by young musicians such as the “School of Rock Tustin,” which covered music by Presley and other artists from the Fifties and Sixties. The event was free and open to the public. According to one report, a driver – ignoring the “street closed” signs – turned onto Main Street and motored slowly right through the festival. No one was injured and the driver was described as an “elderly man” on his way to church.